You are here: Home / News / Xbox Live Indie Games Coming to Windows Phone, Sort of. 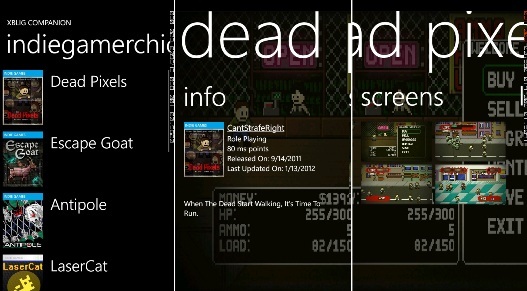 Xbox Live Indie Games Coming to Windows Phone, Sort of. To promote Indie games on Xbox Live Arcade, a group of independent game developers have taken matters into their own hands. They’re releasing an app called XBLIG Companion, which scours the RSS feed from XboxIndies.com. Users can then use the phone’s integration with Xbox 360 to buy and download the games to their console. Kudos to the developers for showing initiative, but with the way Microsoft has been treating the indie channel, it might be a better idea just to develop for Windows phone 7 directly.